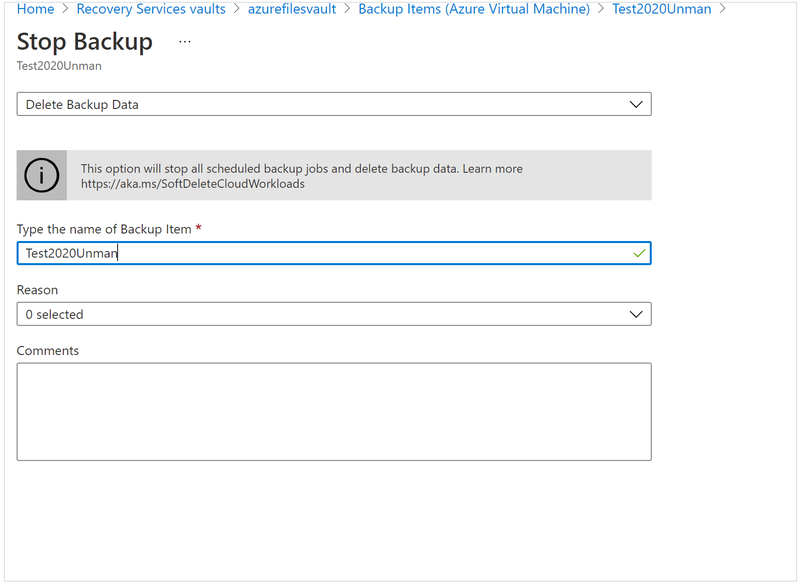 This article describes how to delete an Azure Backup Recovery Services vault. It contains instructions for removing dependencies and then deleting a vault, and deleting a vault by force. Before you start, it's important to understand that you can't delete a Recovery Services vault that has servers registered in it, or that holds backup data. To delete a vault gracefully, you unregister servers in it, remove vault data, and then delete the vault. If you don't want to retain any data in the Recovery Services vault, and want to delete the vault, you can delete the vault by force. If you try to delete a vault, but can't, the vault is still configured to receive backup data. In the dashboard, click Delete. Verify that you want to delete. If you receive an error, remove backup items, infrastructure servers, and recovery points, and then delete the vault. You can delete a vault by force with PowerShell. Force delete means that the vault, and all associated backup data is permanently deleted. Sign in to your Azure subscription with the Connect-AzAccount command, and follow the on-screen directions. 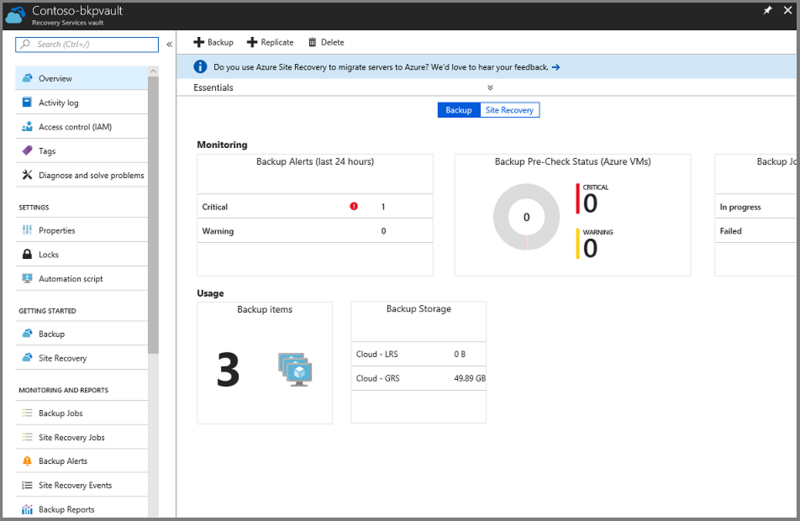 The first time you use Azure Backup, you must register the Azure Recovery Service provider in your subscription with Register-AzResourceProvider. Open a PowerShell window with Administrator privileges. Use Set-ExecutionPolicy Unrestricted to remove any restrictions. Run the following command to download the Azure Resource Manager Client package from chocolately.org. Use the following command to install the Azure Resource Manager API Client. In the Azure portal, gather the subscription ID and resource group name for the vault you want to delete. In PowerShell, run the following command using your subscription ID, resource group name, and vault name. When you run the command, it deletes the vault and all dependencies. In the Azure portal, verify that the vault is deleted. These procedure provide some examples for removing backup data and infrastructure servers. After everything's removed from a vault, you can delete it. 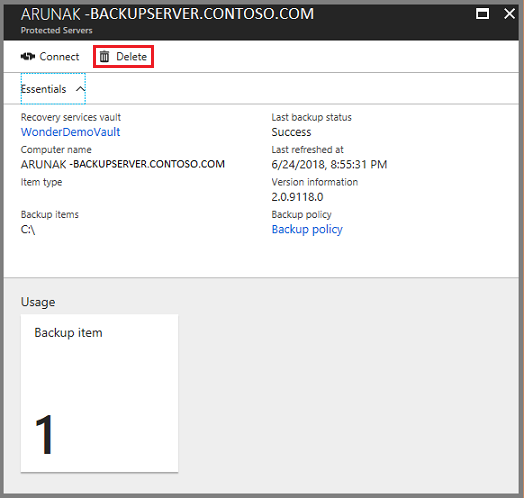 This procedure provides an example that shows you how to remove backup data from Azure Files. Right-click each Azure Files item to remove, and click Stop backup. In Stop Backup > Choose an option, select Delete Backup Data. Type the name of the item, and click Stop backup. This verifies that you want to delete the item. The Stop Backup button activates after you verify. If you retain and don't delete the data, you won't be able to delete the vault. Optionally provide a reason why you're deleting the data, and add comments. To verify that the delete job completed, check the Azure Messages . After the job completes, the service sends a message: the backup process was stopped and the backup data was deleted. After deleting an item in the list, on the Backup Items menu, click Refresh to see the items in the vault. In the vault dashboard menu, click Backup Infrastructure. Click Backup Management Servers to view servers. Right-click the item > Delete.
. In Stop Backup > Choose an option, select Delete Backup Data. Click Backup Management Servers to view the infrastructure servers. 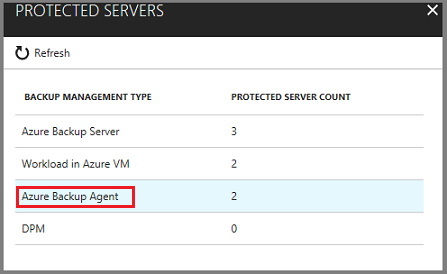 In the Protected Servers list, click Azure Backup Agent. 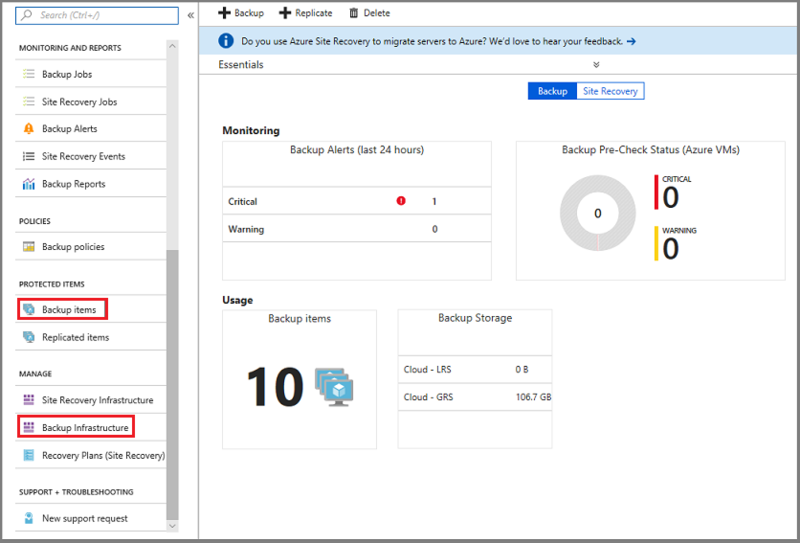 Click the server in the list of servers protected using Azure Backup agent. 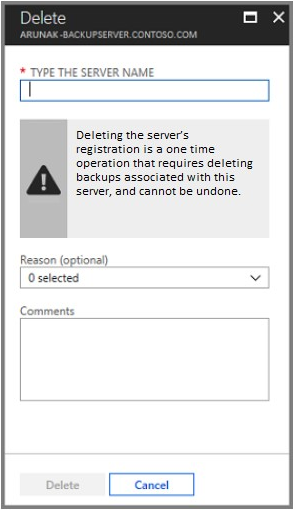 On the selected server dashboard, click Delete. On the Delete menu, type the name of the item, and click Delete. When all dependencies have been removed, scroll to the Essentials pane in the vault menu. Verify that there aren't any Backup items, Backup management servers, or Replicated items listed. If items still appear in the vault, remove them. When there are no more items in the vault, on the vault dashboard click Delete. To verify that you want to delete the vault, click Yes. The vault is deleted and the portal returns to the New service menu. What if I stop the backup process but retain the data? If you stop the backup process but accidentally retain the data, you must delete the backup data as described in the previous sections. Learn about Recovery Services vaults.